Reliability starts at the top. Trust our experts to replace your roof. On average, a roof lasts about 20 to 25 years. But a roof may need replacement much sooner for several reasons, including hail damage, poor attic ventilation, low-quality roofing materials or poor roof installation. How to perform a roof maintenance check. Use binoculars to get a close look at the roof. Check for shingles that are curled, cracked, distorted, buckled or missing. Check gutters and the ground below downspouts for gritty granules worn from the surface of shingles. Shingles that have lost their protective granular coating deteriorate quickly. Look inside your attic and check for daylight coming through the roof. 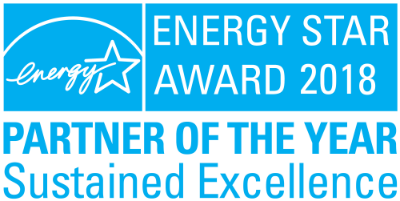 If you see any of the above, call Sears Home Services to schedule an in-home consultation, or fill in the form on this page to request one. During an in-home consultation, a Sears Home Services representative explains your roofing options. 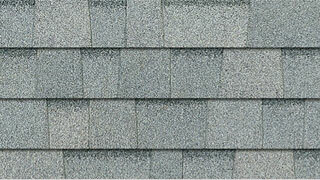 Sears offers three grades of asphalt shingles—a 3-tab shingle and two grades of architectural shingles. 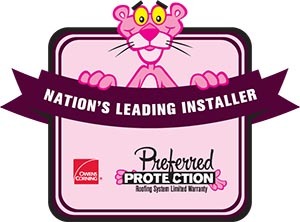 We also have options for ventilation, underlayment and gutters. Our representative will also discuss your financing options and give you a price estimate. If you choose Sears Home Services to replace your roof, a professional installer visits your home to determine the amount of roofing material needed, answer any questions you have and review the contract. The roofing materials are delivered directly to your house. The Sears Home Services roofing installers take care to protect plants and to clean up every day. When the job is done, Sears Home Services inspects the site with you and immediately addresses any issues. We guarantee your satisfaction. Quality roofing material and expert installation are essential for a long-lasting full roof replacement. Sears Home Services offers roofing products to provide lasting durability and improve the look of your home. Our experienced roofing experts are committed to installing your roof properly, safely and efficiently. We are committed to your satisfaction. Home Advisor recently awarded us Best of Home Advisor 2017, honoring Sears Home Services for extraordinary quality of work practices, customer service, ratings & reviews, and overall value. When your roof becomes worn, you’re looking at a greater risk of leaks and mold growth, higher energy bills, and greater vulnerability to pests — and in the long term, serious water damage and a decrease in property value. If your roof is old or if it is showing signs of age, it’s time to start looking into roof pricing. Chances are, your options in new roof materials and roofing costs have changed since you had your last one installed. Take a look at these considerations for a clearer idea of how much it may cost to replace your roof. Roofing contractors base a lot of their roofing cost estimate on the square footage. More square footage means more materials that need to be used to replace the roof. A larger roof will also require more labor time. A higher pitch, or slope, increases the cost in two different ways. For one, it increases the coverage area, adding to the price per square foot. Second, it also requires additional work by the installation company. For example, roofs with a 7-1/2 pitch or higher require roof jacks. A really high pitch roof isn’t walkable and requires additional safety equipment. The installers can’t stack the needed materials near them on the roof. These factors can drive the cost of roof replacement up. 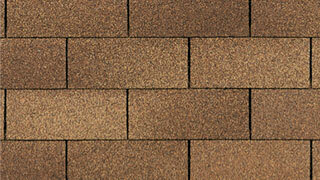 Roof shingle price varies according to the material, level of quality and color choices. Of all the roofing options available today, the most affordable is asphalt. 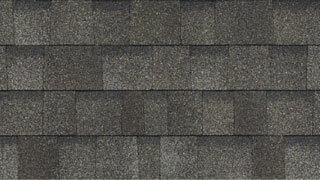 Options include 3-tab, architectural, and premium asphalt shingles. The cost varies with durability, appearance, and warranty coverage. The geographic location of the home impacts the roof replacement cost for a number of reasons. The cost of new roof materials varies in different areas. Even homes in close proximity can vary by several dollars per square foot. The cost of services also depends on the location, as building codes pertaining to roofing can differ from one municipality to the next. Weather impacts like severe storms and long, cold winters may result in roof replacement contractors to be in higher demand. Roof styles make a difference in the overall appearance of your home. The same details that make it right for your home’s design also make it more difficult and more expensive to replace. Factors like the shape, number of layers, levels, and obstacles call for more materials, time, and expertise. These factors not only include the length, width, and slope of the roof, but also details like chimneys and skylights.